Farmington bed and breakfast travel guide for romantic, historic and adventure b&b's. 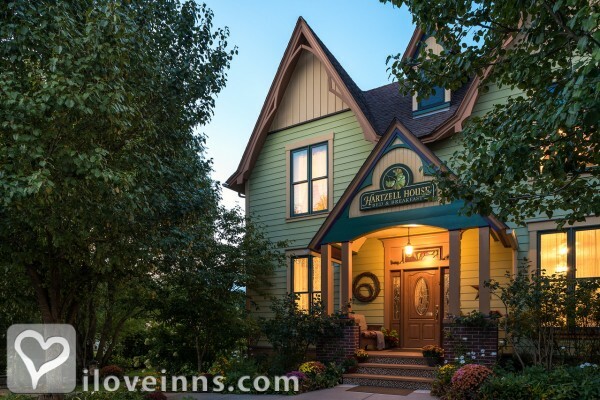 Browse through the iLoveInns.com database of Farmington, Pennsylvania bed and breakfasts and country inns to find detailed listings that include room rates, special deals and area activities. You can click on the 'check rates and availability' button to contact the innkeeper. Farmington, Pennsylvania is on National Road, and offers sites such as Fort Necessity National Battlefield, a historic park and museum. Friendship Hill National Historic Site is an alternative. Another museum to visit is Touchstone Center for Crafts. Golfers consider Farmington interesting since it has three 18-hole golf courses, Nemacolin Woodlands Resort, Mystic Rock Golf Course, and Links Golf Course. Guests at Farmington bed and breakfast inns can take lunch or dinner at the following restaurants: The Lautrec, Dinner Bell Restaurant and Bar, Aqueous, Rosensteel's Restaurant and Lounge, and The Historic Stone House Restaurant. By Quiet House B&B With Cottages.